Storage facilities have very unique security needs. Customers entrust that their belongings are safe at a storage facility, especially after hours. Citiguard has armed and unarmed security guards. Our security protection consultants will sit with, listen and then advise the property manager to determine the best post orders to fit your direct site. If your site is a larger site, Citiguard has security golf carts available and Security Patrol Service Ventura or for multiple sites. Having a security protection guard onsite at a storage facility helps to prevent the units from being vandalized and/or broken into giving customers the peace of mind knowing that their belongings are in good hands. Secure your storage facility with Citiguard’s security protection guard services, who are highly-trained, experienced, courteous and dependable.Based on your directives and our expertise, Citiguard will listen, assess, customize, develop and implement the most ideal and cost-effective security procedures. These procedures are designed to maximize the efficiency and effectiveness of your security policies, and are tailored uniquely for your premises. 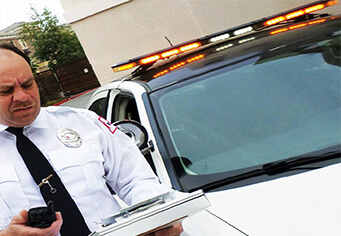 Security Guard guards are fully-licensed and highly-trained, and routinely complete mandatory training in the latest security procedures and technologies. Our security protection guards are always professional, alert, courteous and neat in appearance, and will ultimately help maintain the premium image of your facility. Contact Citiguard to set up your free consultation today to discuss protecting your logistics or manufacturing facility with one of our knowledgeable security protection consultants.